The new Donzi 44 Cat with quad 400rs and the Cigarette 59’ Tirranna with 6 400rs are debuting at the Miami Boat Show. Great to see new models coming out! The outboard craze just keeps getting more insane! Is keeping 6 outboards going really easier than built up big blocks? Serious question. 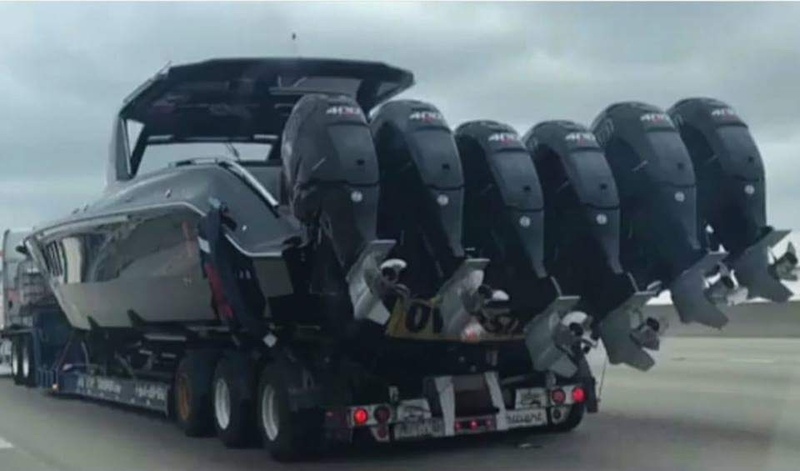 I know big power motors are anything but reliable, that many outboards seems like you'd always be fighting at least one of them. Overall they are probably more reliable and require less maintenance. I don't think the point is to be practical though, it's almost purely bling factor. That's not the only CC down there with 6 on it. I saw a white one too but couldn't figure out the make. Edit: Apparently the white one's a 53 Scout and I found another Cig pic while looking for the Scout. Kinda interesting, all the outboards on the cig seemed to create more internet chatter than the electric boat did a few years ago. Maybe that's thanks to marketing though. So the interiors of the 59 and the 43 are similar colors? All the close up shots of both boats so far are renderings... just curious. That Donzi cat windshield is awful.....looks like it was created for a Austin Powers vehicle if you catch my drift. Trying way too much to be different. I agree on the Donzi. I also can’t believe the paint jobs coming out of NorthCarolina. They are the worst I have seen. Who ever is in charge out there needs to be fired. .....agree, including some of the interior work. Looks fairly entry level for some of the price points. Now the Fountain 43 NX’s I’ve seen pics of, they have upped their game! Those are just renderings. 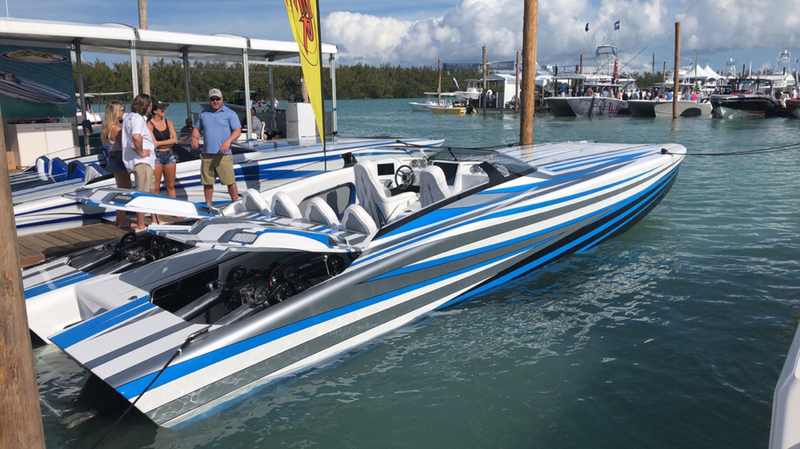 Cigarette has the best CGI I've seen in the performance boating industry this year. Didn’t take many pics between ogling boats and drinking beer, but got a couple. That's awesome you got to go. Thanks for sharing!